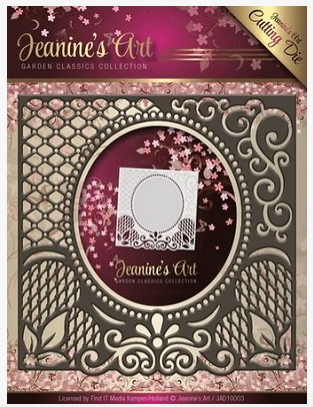 Hi, Joyce here today and I am showcasing a great frame die from Jeanine's Art. I cut this Lace frame out as soon as it came so I could see it. 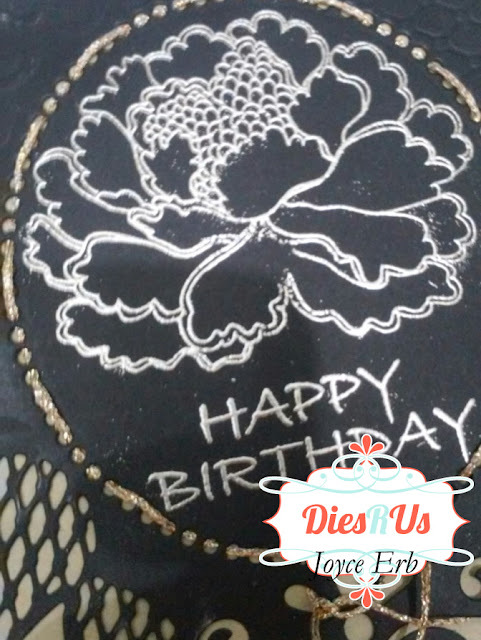 I also embossed the die. Beautiful card, Joyce! The gold stitching looks awesome. 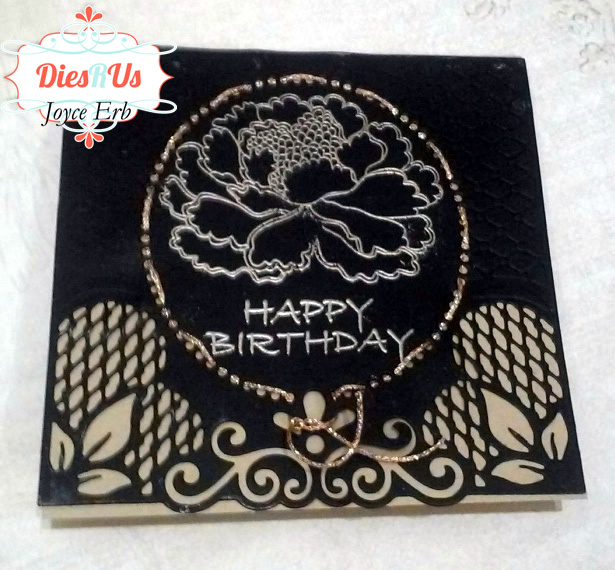 Very creative using the die to create a stitched frame! Just beautiful Joyce! I love the gold stitching against the black background ... very rich looking! Awesome inspiration ... thanks! What a beautiful card! i agree with the others that the gold stitching looks amazing against the black.